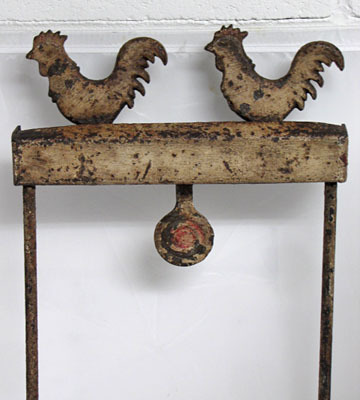 Early chicken arcade shooting target in original painted surface mounted on a make do stand. 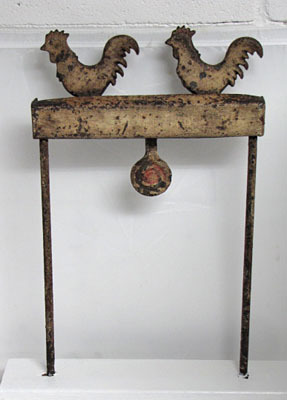 This target comes from the days of traveling carnivals, hit the small red painted circle and the chickens which are spring loaded would flop over. Measures 19" tall and 14" wide at base.